What begins as a simple game of hide-and-seek quickly turns into the adventure of a lifetime when Peter, Susan, Edmund, and Lucy walk through the wardrobe and into the land of Narnia. There they find a cold, snow-covered land frozen into eternal winter by the evil White Witch. All who challenge her rule are turned into stone. Narnia, once filled with all manner of Talking Beasts, Dwarfs, Giants, and Fauns is now a dark, joyless wasteland. The children can only hope that Aslan, the Great Lion, will return to Narnia and restore beauty and peace to the land. But will the power of Aslan be enough to conquer the dark magic of the White Witch? What better book to read during the holidays than C.S. Lewis’ classic, The Chronicles of Narnia? While I was lamenting at how I never read The Giver back in high school, I was also sad that The Chronicles of Narnia were never required reading for school, too. I’ve heard of the series for a long time now, but I never really knew of the story of The Lion, the Witch and the Wardrobe until senior year in college, right before the movie showed. I was already nineteen then! Why was this never a part of my childhood? I am glad that Scholastic had a book fair at my office a couple of years later — I got the entire Narnia boxed set for only Php 500 (around USD 11). Still, it took me a while to read it, and it wasn’t until a few weeks ago that I decided to go on a Narnia trip for Christmas. Like I said, what better book to read during the holidays, right? 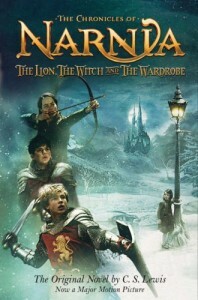 In case you were like me who’s never read this book or watched the movie or even a stage play of this, here’s a quick recap: siblings Peter, Susan, Edmund and Lucy were sent to stay at a Professor’s house, and during one game of hide and seek, Lucy stumbles upon the land of Narnia through a wardrobe. She makes friends with a faun, Mr. Tumnus, and she finds out that Narnia has been stuck in winter for a long time because of a White Witch Jadis. Later on the siblings end up all going to Narnia, and they find out that they are the fulfillment of a prophecy and the Great Lion Aslan is on his way back to Narnia to restore the land. I first “read” this book through an audiobook before the movie was shown in the cinemas. I loved the audiobook. Then I watched the movie and I loved it too — not caring if there were any differences from what I “read”. I think I loved it because it was a Christian novel, and I truly related to what Edmund did and what Aslan did for him. Aslan became one of my favorite fictional characters, and I always loved it whenever he shows up on the movies (but that may be because Aslan is voiced by Liam Neeson). I don’t think I’d have the time to read the rest of the Narnia books before the year ends, but I will finish reading them soon. :) When I have children, I will make sure to have copies of these books at home so they can read it and visit Narnia anytime they want to. And one more thing: show of hands to anyone who can relate to Edmund? I know I do. 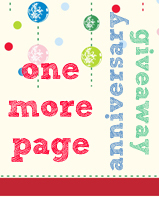 Don’t forget about my ongoing Anniversary Giveaway! Every comment you leave is one entry — the more comments you leave, the more entries you get! :) Click the image for the mechanics and the list of prizes! Have a blessed Christmas Eve everyone! :) Merry Christmas! From the cover itself, seems that you got the limited edition of this! I haven’t seen the second yet, an the third one’s already coming out :0. I need to get caught up! I haven’t watched Dawn Treader yet! I don’t know if I will be able to, since it’s already filmfest season in Manila. Maybe I’ll catch it on DVD. I loved The Chronicles of Narnia, but not because it was a Christian novel. I loved it because it talked about forgiveness, and friendship, and family, and many things more. But I have to say, I don’t get why The Chronicles of Narnia has to be labeled “Christian.” Will it be anything less if it weren’t? I mean, the argument can go both ways. And I don’t think it will tarnish the novels if they are to be called a series of Christian novels–but why the need to put the label in the first place? Interesting question. :P I think it’s labeled as such because C.S. Lewis is a Christian author, and his books are Christian in nature. I think a novel gets that label depending on the publisher, the author, and sometimes the message. Personally I see connections to my faith in a lot of novels I read, so novels with such message get labeled like that — but that’s just me. It’s the same thing as with Christian bands or music. They’re really not supposed to be called such because Christian isn’t a genre, but they get that label because of their recording company or song message (or if they’re a worship band). There are bands that are Christian (as in the band members are Christians and their songs have somewhat Christian messages) but are not labeled such because they’re packaged as secular (which is another label in itself), like Lifehouse or Mae. I didn’t even know they were labeled as Christian novels…wonder why that is…I am not religious and I can’t remeber feeling weird because I couldn’t identify with the novel. I especially love the connection between bk 1 and 7. SO GOOD! @Miss Page-Turner; when I read the book/s I didn’t know about the label either. It was only when I started looking around the internet that I’ve seen people refer to it as a Christian series of novels. I remember reading an article about this series few years ago when the first movie just came out. It does said that this is a Christian book though I hardly notice it. The article also mention that C.S Lewis received several critics and considered being racist in this book (that the Caucasian people were the heroes in this series while the bad guys have similar appearance with Middle-East or Latin people). Nevertheless I think this is a good series for kids although it might necessary for parents to give proper explanation to their kids. I have read the book few years ago and when the movie was coming, I have no chance to compare every scene between them. I totally enjoyed the movie. I think when a book is adapted to a movie, you should leave everything that you’ve read behind. That’s so true! And it’s easier to do if you watched the movie some time after reding the book. But it can be incredibly hard sometimes! What? There’s a Scholastic book fair at your office? Lucky, lucky! I haven’t read this book, but I have book 1. I can’t even remember the last time I read this book… I must’ve been 7 or 8 I think, maybe a bit older. The only thing I remember was liking it, but not the next book in the series, so I never continued reading them. It was that simple at that age. I did love the movie though, and I just saw the 3rd one the other day. The ending of the 3rd one turned me off a bit, because even though you know about the Christian themes in the book, you can choose to look at it a different way if you want. It’s hard to do that when they make it too obvious though.